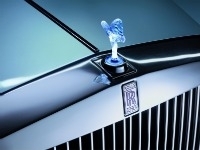 FRANKFURT -- Rolls-Royce sees record sales this year and is optimistic on growth in 2012, the carmaker's CEO said. "I have not seen any reluctance to consider buying a Rolls-Royce," Torsten Mueller-Oetvoes told Reuters in an interview on Wednesday. "I do not feel that sentiment is deteriorating in the luxury market." He added that he expected the brand to achieve record sales in 2011, thanks to the luxury segment's resilience. "We are dealing with people who are unusually wealthy and never really have to ask themselves, can I still afford this or not?" Mueller-Oetvoes added. The U.S. is Rolls-Royce's biggest market, where it sold about a third of its cars last year, but Mueller-Oetvoes said he saw the biggest growth potential in Asia, and especially in China. Deliveries of the brand, which is owned by BMW AG, grew 171 percent to 2,711 cars last year, compared with the year before.